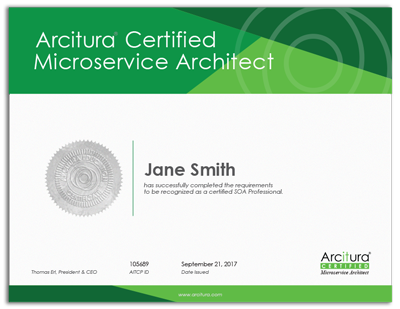 Arcitura Education is pleased to offer the 5-day Microservice Architect Certification Workshop. Group discounts are available for two or more registrants from the same organization. As explained below, optional on-site certification exams are available as part of this workshop. Regardless of whether you participate in the exams, by attending this workshop you will receive an official Certificate of Completion that will be sent to you directly.